Over 60 million Nigerians are unbanked. This simply means there is a huge banking gap that needs to be bridged. Unfortunately, a large population of the unbanked or underbanked are located in rural areas. In these areas, there are just a handful of financial institutions. This is one of the reasons why Nigeria's apex bank, the Central Bank of Nigeria is encouraging banks to open more branches, especially in rural areas. The question now is for how long? This question arises because there is a dire need to bridge the gap. Fortunately and thanks to technology, the concept of fintech came up and it has unarguably disrupted the financial scene. The most staggering impact it is having is that it is making inroads in helping to close the financial gap between the banked and the unbanked. So, how are fintechs pulling this off? Read to know some of the ways. Online lenders are on the rise, and with that blooming industry, the need to drive to a local branch and sit down with a banker to apply for a loan is fairly obsolete. Instead, rural residents can apply for loans from their smartphone wherever they are. Many traditional banks allow online application and they will take forever before they respond. However, for fintechs, they will lend you huge sums of money within 24 hours, as long as you meet their criteria. Paying for online services is no longer rocket science. It is accessible to everyone notwithstanding whether you are in the rural or urban area. Of course, you must have an internet connection. So, you can order and pay without issues. For example, with Jumia Pay , you can pay for food, hotel and groceries you ordered online and it will be delivered at your doorstep. This has, to a very large extent, reduced cash-on-delivery payments. Therefore, you do not need to keep wads of cash at home just because you want to pay for your order. Many rural residents own farms, ranches, and home-based businesses, and so banking access is more than just depositing a paycheck or needing a debit card. 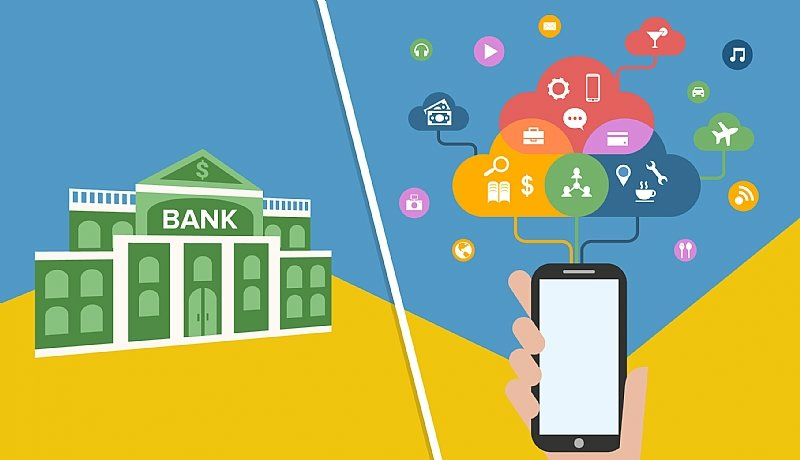 Customers with business-based banking needs can also, through fintech, integrate their business banking into those same apps and online access. Accounting software can link bank accounts and accountants as well, offering even more of a streamlined experience. Additionally, people can now easily apply for small business loans without having to travel to a bank or lender, making it much easier to access capital when necessary. Fintechs are having a gigantic leeway because their modus operandi is not cumbersome. It’s quick, fast and responsive when compared to the banks. Due to this, this has encouraged Nigerians to use them. Also, the number of fraud cases are considerably low in comparison to the banks. Due to this a lot of people are very much attracted to them.